Love the message here that we can control a lot of the clutter in our lives by simply refusing to get sucked up into other people’s stuff, especially through social media. Thanks for your great insights – always! Thank you Missy for the great message. Inversion postures can release all of the thought patterns that we are always unwiring in our minds. 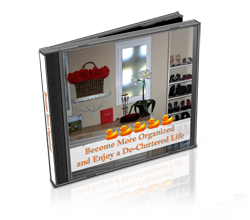 I love the concept of “decluttering”, it is so profound in my life!!! AWESOME article Missy!! All so true & I am so glad that you are putting a VOICE to this! !